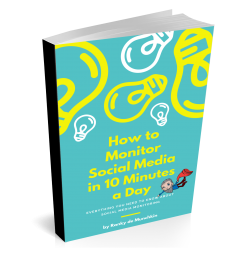 Monitor Social Media in 10 minutes a day! Monitoring your business’ social media presence is incredibly important. Use your time more wisely! Start smart social monitoring immediately. Download this Ebook and learn how to do it right!